NessAlla Kombucha and Kombucha Kamp Contest! Have you ever heard of the magical drink called kombucha? Kombucha is a fermented tea drink that has been around for so long, no one really knows where it originated. This fizzy, tangy beverage has stood the test of time because of a.) it’s deliciousness, and b.) the health benefits imparted with every gulp. The tea is fermented by a living organism, called a SCOBY (a symbiotic culture of bacteria and yeast), that hangs out in the tea. 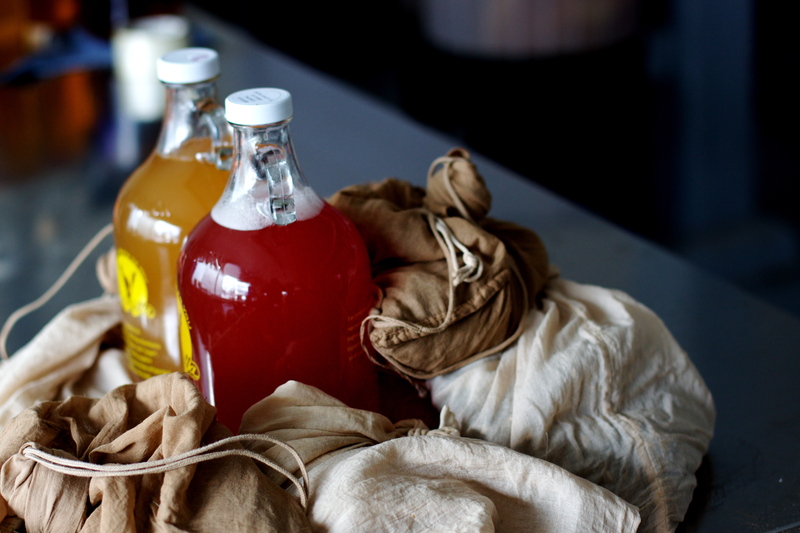 Kombucha brewers add sugar to slightly caffeinated tea. 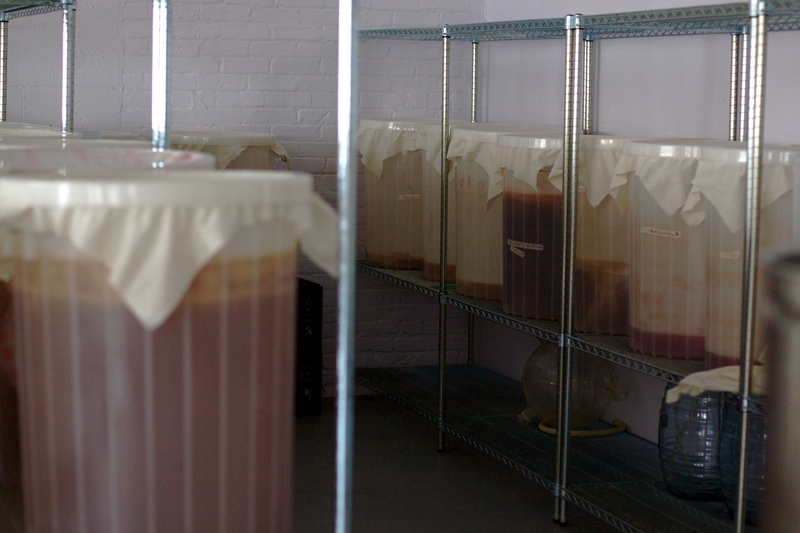 The SCOBY eats the sugar and the caffeine, and in return infuses the tea with amino-acids, live enzymes, probiotics, and other good-for-you stuff. 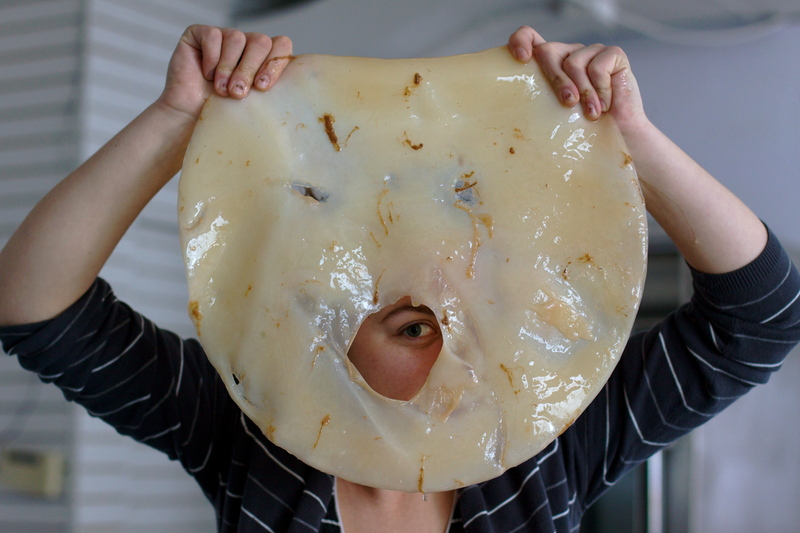 Addie of NessAlla and her friend, the Scoby Cyclops. Kombucha can help with digestive issues, increases energy levels, boosts the immune system and much more. You can also mix it with booze (gin and vodka are my favorites) for a cocktail that doesn’t really give you a hangover in the morning. In other words, it’s pretty much magical. Though you can definitely brew kombucha at home, I’m not very good at it. 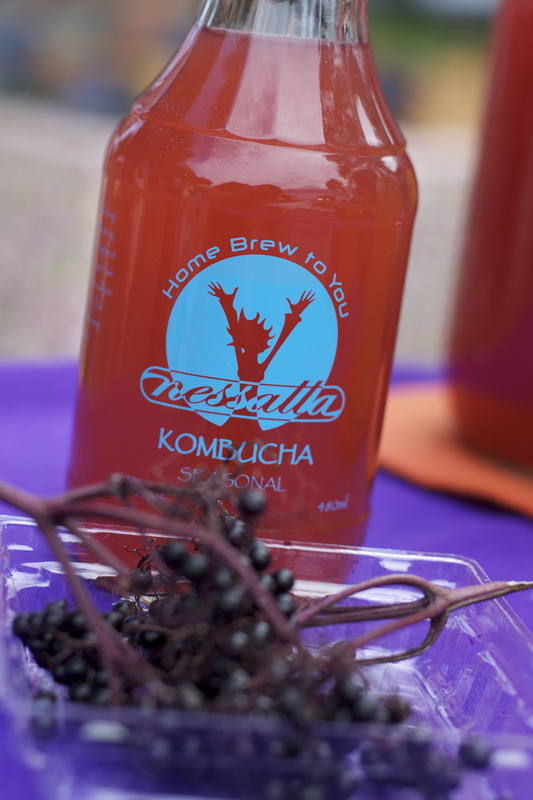 Plus, I have an amazing local supplier of kombucha to turn to: NessAlla. 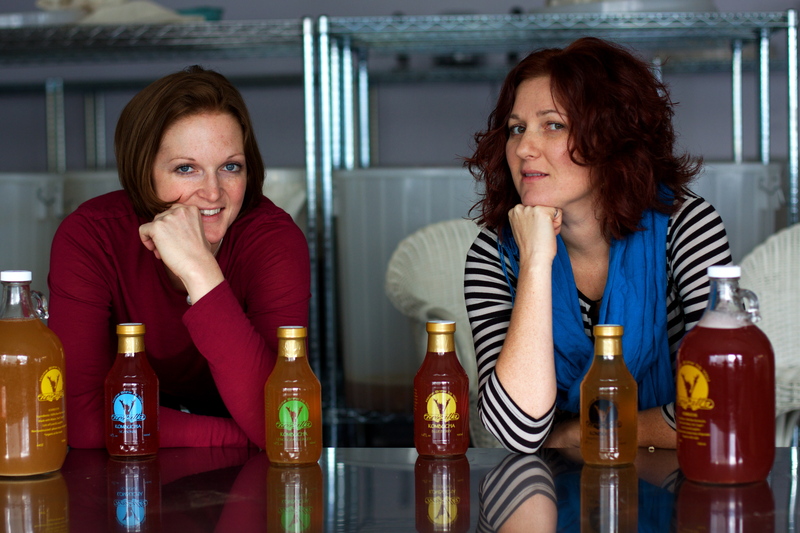 NessAlla was started by two rocking women a few years back, who shared a passion for this healthful beverage. Vanessa and Alla (Ness-Alla: get it?) now own a thriving and growing business based out of a sunny workspace on Winnebago Ave. You can buy their kombucha all over town, and in Chicago land. 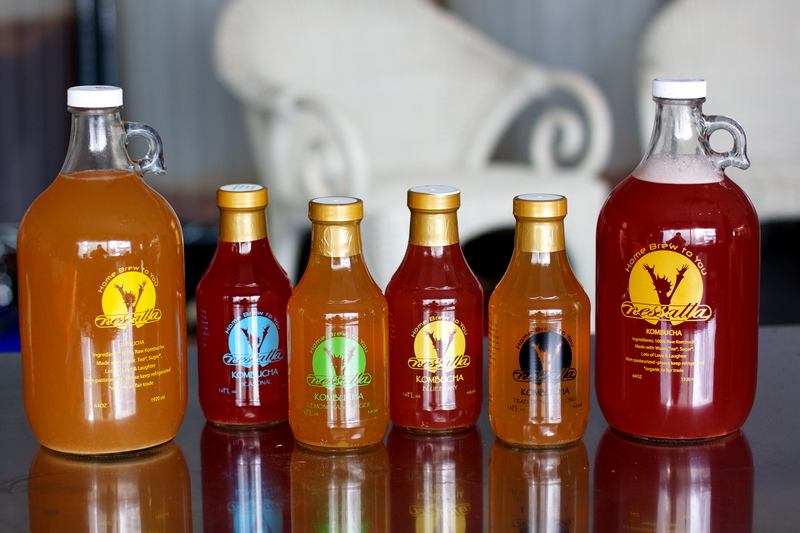 Every bottle of kombucha is made to order, and they like to mix things up by offering an array of seasonal varieties. I bought this Elderberry kombucha from Alla at the Eastside Farmers’ Market back in August. It was fantastic. So fantastic, I did not share. I remember when NessAlla was just getting started. I’d see them at the Farmers’ Markets, sampling their brews and explaining what the hell kombucha is. Next I started seeing their brew appear on the menu of the Mermaid Cafe and Alchemy. Vanessa and Alla taught kombucha brewing classes at the Co-op, and growlers and 16 oz bottles of NessAlla appeared on the shelves there. Now they are all over the place and continue to expand. As a fan of their product, I was so happy to be able to pick up my favorite booch at so many new locations. As a fan of their business and the ladies themselves, I am bubbling over. Vanessa and Alla are powerhouses. They have families, had second jobs while their business was still getting going, teach classes. 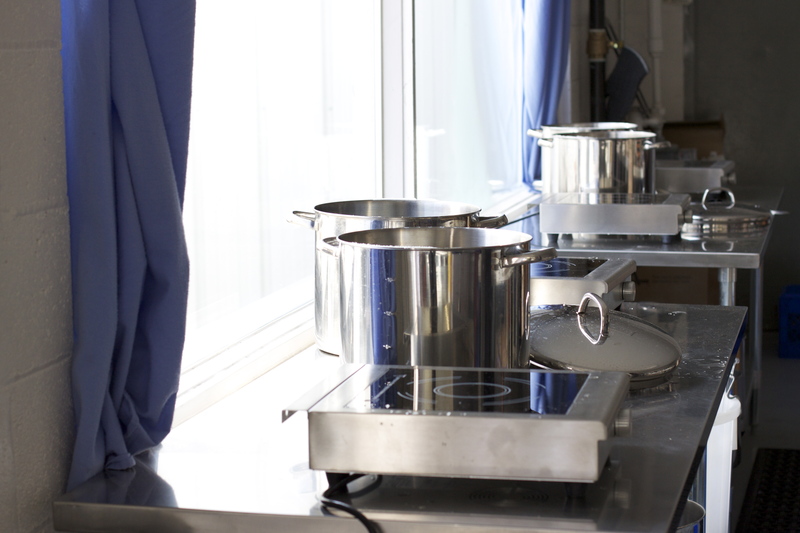 They started their business in a basement under a restaurant and have now moved into their own, much larger production space. They use all fair trade and/or organic tea and sugar, all of which is sourced locally. They conserve energy use by doing most of the work by hand, and reduce their carbon further by reusing their glass bottles. In short, NessAlla embodies every positive thing that a local business can be. 3 lucky winners will win either a growler or a case of locally brewed kombucha! So get over there and Enter! Vanessa and Alla were kind enough to indulge me in taking a few pictures at their production space yesterday… a few of my favorites are below! Sunny, Energy Efficient Brew Space. 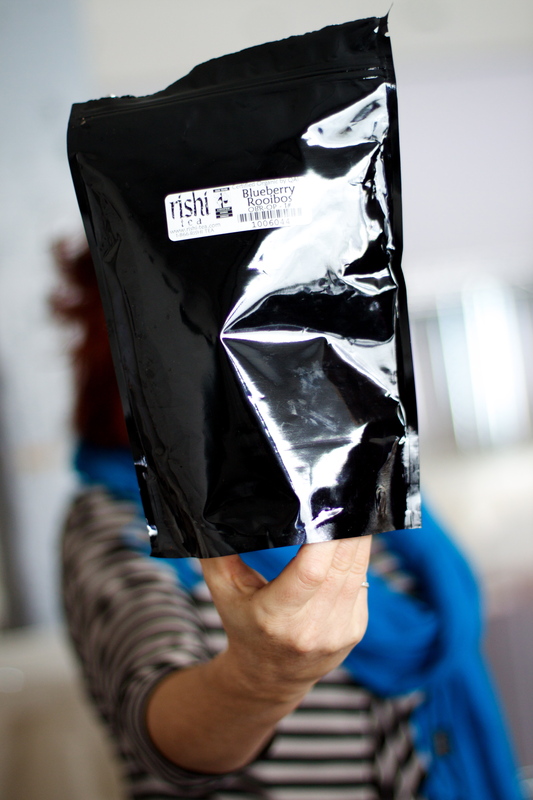 Shout out to Rishi Tea, NessAlla’s tea supplier! 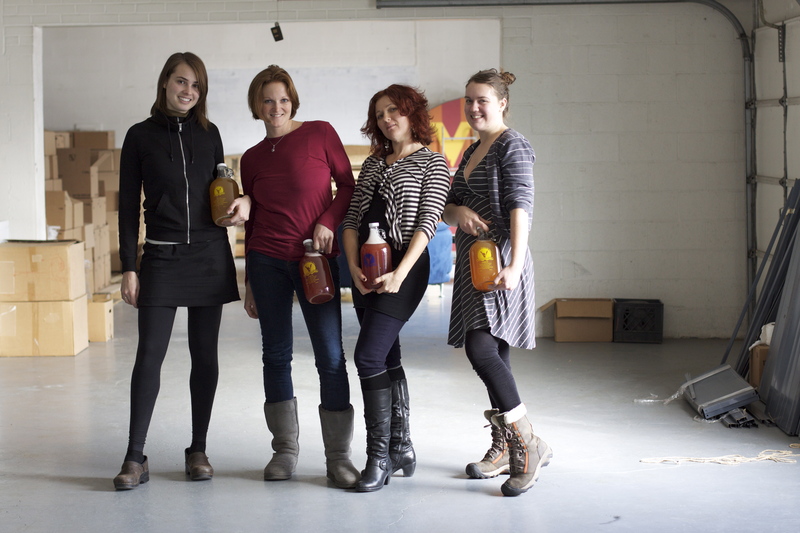 The Women behind the brew! Kombucha and tea bags. Over time, the tea bags are dyed that beautiful milk chocolate color. I have at least a dozen more pictures that I would like to post, but I’m cutting myself off lest this post get ridiculously long. Besides, you don’t have time for reading more here- you have to go win some free kombucha! I’ve never tried kombucha before, but I would love to now–you convinced me! How utterly lovely to have a local kombucha drinks supplier, especially one willing to mix things up by using in season produce as flavours. Looks like a really good small business. I wish they delivered to Australia!